Our source disclosed that the suspect, also addressed as “Alhaji Yola,” reportedly received N300 million from a businessman after promising to provide his dupe with political access to secure an oil block from the Buhari administration. According to our source, Mr. Buhari personally ordered last Monday night that Mr. Yola be produced before him in handcuffs in the company of the businessman he duped. 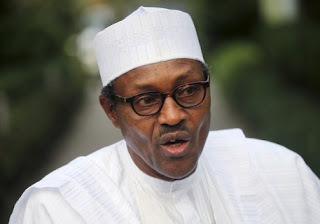 After telling the businessman that he was stupid to part with such significant cash when he should know that he, Mr. Buhari, would not participate in fraud, the president ordered agents of the State Security Services (SSS) attached to Aso Rock Villa to thoroughly investigate the scam. He also ordered the SSS operatives to ensure that the businessman recovered his money from his brother-in-law.